Many people are wondering “is voice search the future.” The fact is that voice search is the present, it’s set to grow, and bloggers who don’t embrace it are destined to breathe their competition’s dust. Naturally, the first step to maintaining your blog relevant to voice search is to consider the specifics of voice search queries. 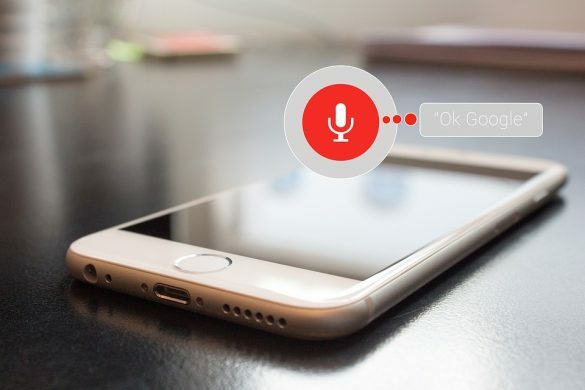 There’s actually nothing new in this regard, as the best practices for voice search SEO are familiar to anybody who’s dealing with content and search engines. The pillar is still writing for people first, and search engines second, utilizing long-tail keywords and helping search engines crawl your blog efficiently and effectively. That being said, how people search has changed a bit in that long-tail keywords are now longer and more specific. As of being of help to search engines, don’t forget that schema markups are even more relevant for voice search. They help crawlers understand the context of your awesome blog post which is how you get up on top of the page and turn up in the feature snippets. It had been in the talks for some years but in 2018 Google officially announced that it is transitioning to mobile-first indexing—i.e., mobile search and pages are now more important than desktop. As mobile devices have gotten better, bigger, and smarter, they have become a favorite internet device which is an indispensable part of people’s everyday carry. For your blog to rank well, you have to audit your website and fix any holes in its mobile performance. Another thing to consider is that when people search on mobile, they are in a faster-paced environment than when browsing on a desktop. In other words, you should get to the point quickly, so you don’t lose your reader’s interest, and so search engines can quickly pinpoint your content as relevant to the keywords you are optimizing for. Of course, this isn’t only relevant to mobile devices, as home assistants and desktop voice search are also growing. Nevertheless, the same things apply. When thinking about voice assistants and search apps, it’s easy to forget that the majority of searches still happen the “old-fashioned” way and that voice search does not work that well for long-form content. In other words, people still read stuff especially if it’s about a complex topic at which point they also turn to video. The common theme here is that you need to use photos to illustrate your message along with other visuals that’ll enrich your text, make it more comprehensive and provide necessary breaks in between the walls of written words. Photos, infographics, screenshots, and videos also serve as extra real estate that you can leverage for SEO. YouTube and Google Image Search are search engines of their own right, and Google does consider them when ranking results. When building your voice search SEO strategy, you need to understand the context behind user search. For example, somebody looking for directions on a desktop is likely preparing for a trip, while a voice search from a mobile device is usually a sign that a user is on the road and needs directions now. Another example is product search—a majority of shoppers use mobile search at some point of their purchase journey and not only to shop online but also to compare alternatives at brick-and-mortar stores. In this sense, looking past keywords and into their intent can help you decide which search queries you can realistically satisfy with your blog content. As an example, Google says that queries that include “near me” have grown with over 500% during the past two years, meaning that more people are utilizing voice search to find information that is closely relevant to them. With this in mind, is there a location-specific query that your content can satisfy? Writing with voice search in mind is important, but as noted above, shouldn’t come at the expense of what makes sense for your readers. If after doing an audit you find out that your voice search efforts are insufficient or nonexistent, you should do any changes gracefully and test, test, test. There are plenty of tools available, free and paid, that allow you to see your pages as a search engine and as a reader. “Gracefully” transforming your content to be voice search-compliant refers to doing it in a way that won’t leave your readers perplexed by awkward wording and irrelevant keyword placement. Another point to keep in mind is not to overdo it else you risk getting penalized by Google’s ever-evolving algorithms. Lastly, optimizing for voice search shouldn’t be an end in itself for you and your blog goals. OK, Google: how do I rock this voice search SEO thing in 2019?